Originally I was annoyed with the eBay seller, and also annoyed with myself for not checking properly before bidding…. But hang on, the small print on the label says “MADE IN FRANCE”! What’s going on here? 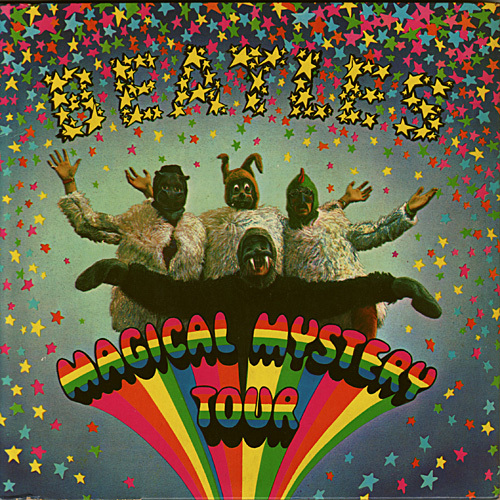 Has this eBay seller done a swifty and tried to pass off a “Frankenstein-ed” copy of Magical Mystery Tour? Have they conveniently mixed a cover from one country, and the two vinyls from another? A little bit of “after-the-fact” internet research reveals that all is well. 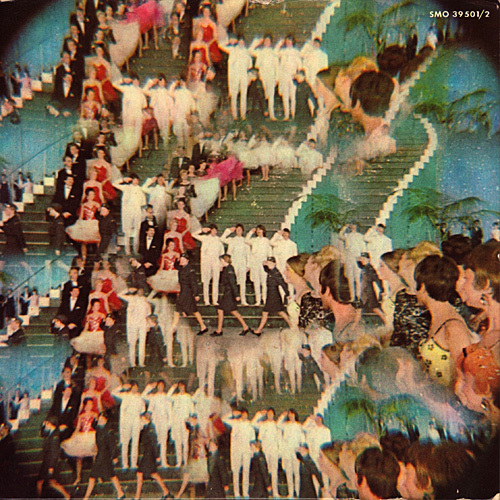 This is indeed how this edition was originally released. 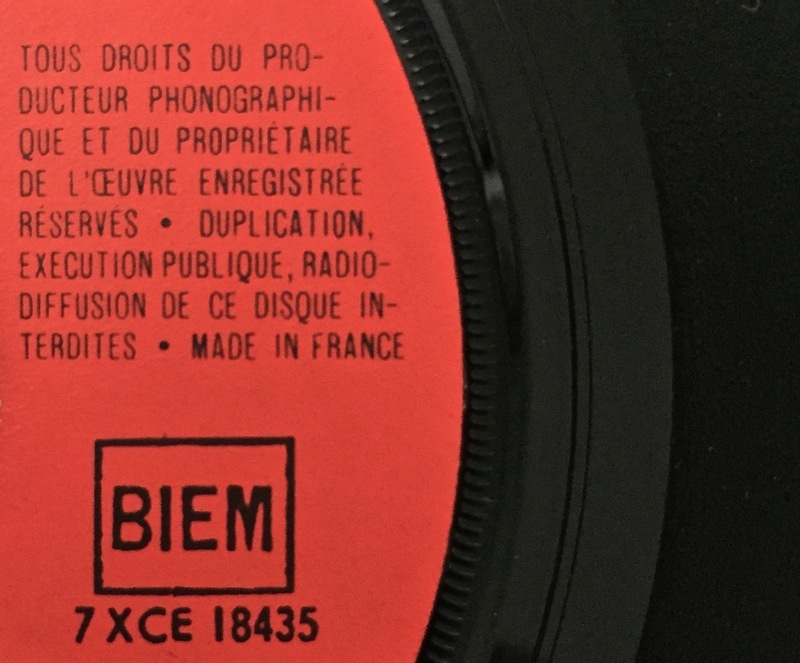 In France, Odeon manufactured the vinyl locally, but they imported all the covers from Germany. This is easily proved by a visit to the Discogs database here, and here where members have similar copies to the one we have. 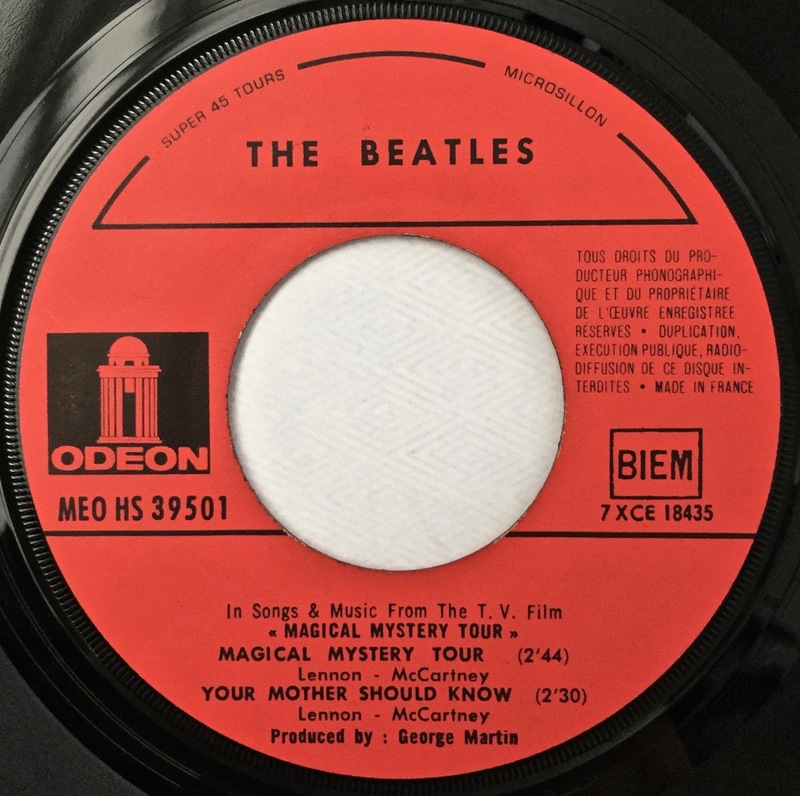 There is also an excellent explanation (and photos) on The Beatles Record Collection site, where it is revealed that there are even more variations in the way the French issued the Magical Mystery Tour EP set. So, we indeed do have a correct and original French (not German) pressing of this disc after all. Phew! 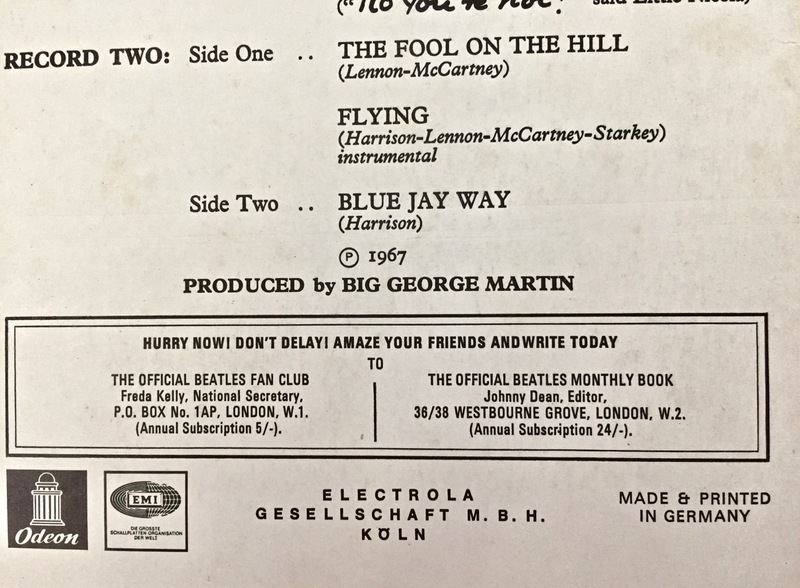 This entry was posted in Beatles, Beatles Collecting, Beatles Music and tagged France, German, Magical Mystery Tour, Odeon, pressing, variations by beatlesblogger. Bookmark the permalink. That’s cool (and reassuring to know)! I own a copy of the Spanish edition, with the discs “fabricados en España”, and the gatefold also “made & printed in Germany”, even though it’s not exactly the same pictured above (the fan club add is not featured). Yes, I think Spain also imported covers for MMT from Germany as well. Thanks for that information.